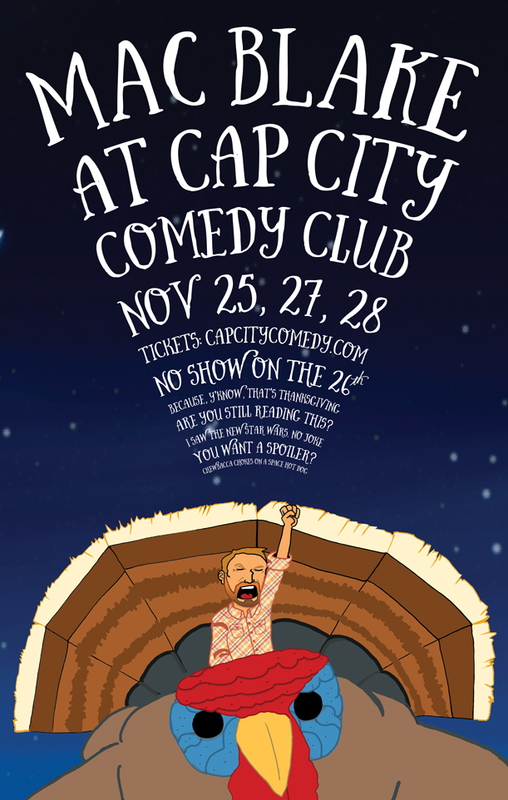 The day before Thanksgiving and the two days after, I will be headlining Cap City Comedy Club. I am not just mega super excited about it. I am VERY mega super excited about it. For those of you with my album, I’ll be doing be at least 45 minutes of chuckles and stuff not on there. So there you go. Get your tickets here.